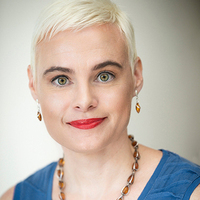 The 2019 Creative Writing prize winners will be selected and announced by nonfiction author Inara Verzemnieks. Join the Department of English & Creative Writing on Thursday, May 9th, 2019 for a reading from Verzemnieks and the announcement of the 2019 creative writing prize winners. The reading and award ceremony will be held in the Sanborn Library at 4:30pm. Inara Verzemnieks is the author of the memoir, Among the Living and the Dead: A Tale of Exile and Homecoming on the War Roads of Europe, published by W.W. Norton. The book, which the Washington Post in a recent review called “important,” and “exquisitely written,” retraces the steps of her grandmother, a war refugee, and her great-aunt, a Siberian exile, in the wake of World War II, and recounts Verzemnieks's own journey back to the remote Latvian village where her family broke apart. A Pushcart Prize winner and the recipient of a Rona Jaffe Writer’s Award, as well as a finalist for the Pulitzer Prize in feature writing, she previously worked as a newspaper journalist for thirteen years. Her essays and journalism have appeared in such publications as The New York Times Magazine, Tin House, The Atlantic, The Iowa Review, and Creative Nonfiction. She is especially interested in stories that cannot be accessed unless the writer is on the ground, fully immersed in the lives she is trying to understand – stories that demand that we stay and inhabit a place until we move past seeing it simply as spectacle. Among the Living and the Dead: A Tale of Exile and Homecoming on the War Roads of Europe will be available for purchase courtesy of the Norwich Bookstore. This event is free and open to the public. Light refreshements will be provided. The Sanborn Library is located on the first floor of Sanborn House, at 19 N. Main Street, Hanover NH. The front entrance to Sanborn House can be found to the left of the main entrance to Baker Library when facing the bell tower from the Dartmouth green. NOTE: The deadline to submit your work to be considered for the 2019 Creative Writing prizes is the end of day THURSDAY, APRIL 11TH, 2019. Please send any questions related to submissions to [email protected] or refer to our website at https://english.dartmouth.edu.